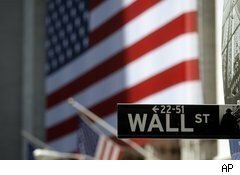 Wall Street's top financial institutions are moving surprisingly quickly to change the way they operate in the wake of the passage of the Dodd-Frank financial regulation reform law. The question is: Did the legislation force their hands, or is this just a good time for big banks to rethink their business? Among the latest moves, investment bank Morgan Stanley (MS) will reportedly sell its hedge fund, FrontPoint Partners, within the next three months, according to a report on the website Business Insider. Earlier, Fox Business reported that Goldman Sachs (GS) has moved about half the traders in its proprietary stock-trading operations -- the ones who invest Goldman's own money -- into the Goldman Sachs Asset Management division, where the traders work with clients. And Citigroup (C), according to Bloomberg, is also considering moving its proprietary traders into Citi Capital Advisers, which invests money for its outside clients. Citi has also sold its interest in a private-equity fund. Convenient Time for a Shakeup? The rationale behind all these reported moves, none of which the banks have confirmed, may be connected with the adoption last month of the newly enacted financial regulatory overhaul law. That legislation contains a provision known as the Volcker rule, after former Federal Reserve Chairman Paul Volcker, which sets limits on the amount of proprietary trading and investing banks that will be allowed to do in hedge fund assets in the future. The regulations to implement the law may take several years to draw up, so the banks are under no immediate pressure to sell assets. But it just may be a convenient time to shake things up. Bill Brown, a professor at Duke University Law School who specializes in the securities industry, says Morgan Stanley CEO James Gorman, who took over the top job in January, may be responding to his own agenda for the business as much as to the new legislation. "Under the current management, Morgan Stanley has been much more focused on fee-generating businesses than taking speculative positions," Brown says. "If the Volcker rule is going to distort the market, [Gorman] should get out before it puts downward pressure on prices." Goldman: Back to a Partnership? Goldman's efforts to realign its proprietary trading may be more complex, according to Brown. For one thing, the Volcker rule contains a flat exemption for proprietary trading that involves client contact. By moving proprietary trading to Goldman's asset management unit, those traders may fall under the law's exemption even if they primarily trade for Goldman's own benefit. Proprietary trading has historically been a big part of Goldman's success. So how will it cope going forward? Brown thinks the firm may get rid of its less profitable commercial banking operations and return to being a pure investment bank, perhaps even becoming a partnership again. The storied bank ended a century of partnership and went public with an initial public offering in 1999. The possibility that Goldman might go private again in response to the financial regulation overhaul has been the talk of Wall Street for almost a year. Hedge fund manager Doug Kass has made Goldman's return to a private partnership one of his "20 Surprises for 2010." "There was so much that worked well for them as a partnership, and in fact a large part of their risk-taking culture grew out of the fact that they were betting their own money, not someone's else's," Brown says. "If I were Goldman Sachs, I would be looking hard and long right now at whether I want to be working in this world that has been created by financial regulation, or do I want to pull back?" Such a move has precedent. In 1935, two years after the Glass-Steagall Act was adopted to prevent commerical banks from making risky investments, Morgan Stanley was spun off by J.P. Morgan Bank so that its partners could continue to work as a pure investment bank.